Euploea radhamantus black butterflies are eat mineral. hd00:25Euploea radhamantus butterflies eat mineral. 4k00:16Macro close up of a common blue butterfly standing on the ground. Polyommatus. 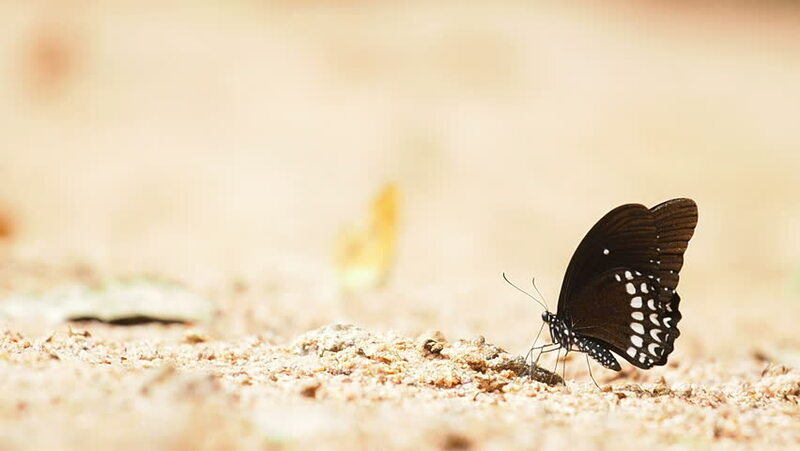 hd00:12Butterflies are eat mineral on the ground and urinate. hd00:30The Common Jay butterflies and other are eaten mineral on the ground, Select focus.